We are deeply saddened to announce that our Grandmaster Steven Vincent Baugh has recently passed away on March 17, 2019 at age 65. He had many titles such as; Sigung, Sifu, Dashi, Grandmaster, Grandfather and Dad. He is survived by his children Maria, and Raul, as well as his grandchildren Xavier, Scarlett and Violet. His organizations the Lohan School of Shaolin (Kung Fu) and the Lohan Spiritual Center will continue in his name, and will carry on his legacy. As an example of Dashi's dedication to all people willing to learn, he took a vow to never turn away a student regardless of any inability to provide tuition. 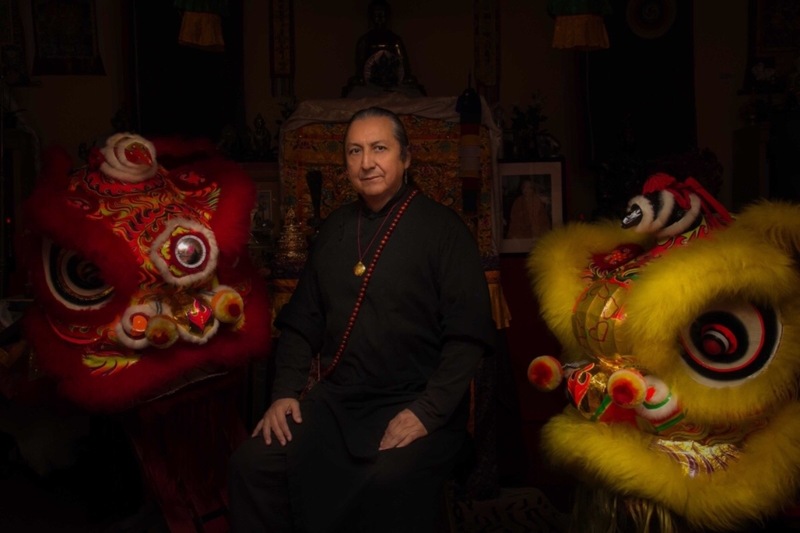 He dedicated his life to carry on the traditions and practices of Chinese Lion Dancing, Northern and Southern Shaolin, Chi Kung, Tai Chi and the Dharma. His organizations accepted students from all over the world of all races, religions, creeds and ethnicities. Starting with only 4 students in the garage of his house, Dashi later expanded his teachings to a school and temple in the Las Vegas Chinatown. The Lohan School of Shaolin has been hired to perform its practices all over the Las Vegas area, including most hotel and casino properties on the world famous Las Vegas Strip. We ask that all friends, students, and loved ones come together to assist his organizations at this time of need. A memorial was held in his honor on March 23rd in Las Vegas, NV, and there will be another memorial at a time TBD in Long Beach, California. These services are very expensive and the organization cannot assume these expenses alone. We kindly ask that all share this link in order to reach those who might be unaware, and would like to contribute to this campaign to fund these services. We thank all who take the time to donate or share, and all who assist this organization to continue.